A Quick Look: The hotel group required a solution which could be used across their multiple properties and was affordable. The chain evaluated many systems, both cloud based and legacy, and finalized on Hotelogix. It offered them a single point solution that could streamline their operations and distribution on a single cloud based platform. The Sr. Manager finds Hotelogix to be the best solution in terms of support, creditability, maintenance and ease of use. Kairali Ayurvedic Group was established on the ground of Ayurveda research. This serene Ayurvedic resort is perfectly integrated into its natural surroundings. 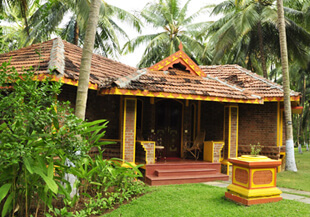 Employing a unique design concept for the architecture & interiors that is based on VastuShastra, the Indian version of "Fengshui", it provides luxury haven for Ayurveda treatments & yoga retreats. 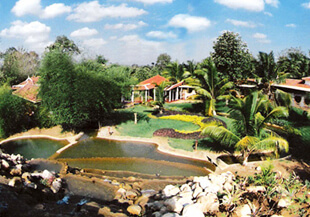 The Ayurvedic Healing Village mergers a traditional approach with the best of modern holistic luxury. The Kairali group of hotels were facing numerous difficulties in managing online bookings, check in and check out as well as managing their tariffs and operations. The group required a solution which was cost-effective and can be used across their multiple properties. The hotel evaluated several cloud based and legacy PMS before finalizing Hotelogix. Hotelogix was able to offer them a single point solution that could give the group the ability to streamline operations and distributions on a single cloud based platform. The solution was not only cost- effective but a single point dashboard could manage their multiple properties saving them time as well as resources. Substantial increase in the number of online bookings due to online visibility in the global marketplace. Cost-effective. The group saved nearly 10,000 USD by investing in a cloud based system as opposed to a Legacy system. With Hotelogix they didn’t need to invest in any hardware, licences or training costs. Efficiency has increased since real time information is available to stakeholders across the group and from anywhere. Secure data which gets backed up in almost real time. The group was able to try the PMS on their properties for free with the 15 day free trial before going ahead.